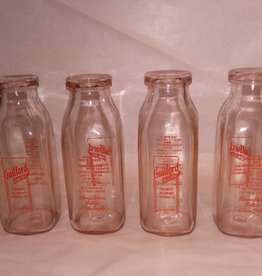 Guilford Dairy The Best in Dairy Products, Guilford, NY. 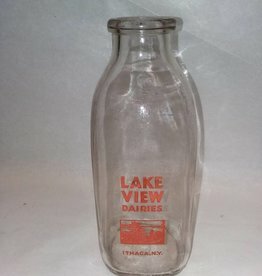 1 pint milk bottle. 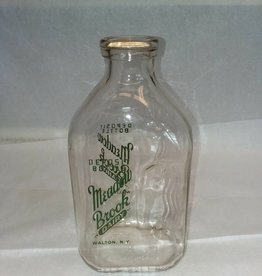 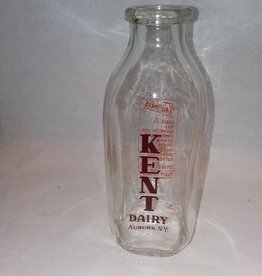 1 Quart milk bottle from Kent Dairy, Auburn, NY. 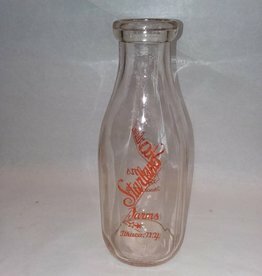 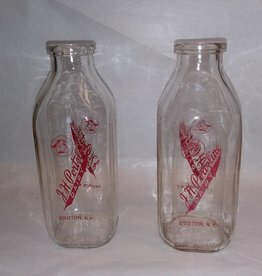 Red pyro-glazed square milk bottle. 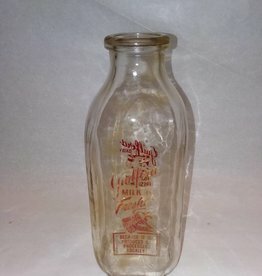 "Guilford Milk is Fresh". 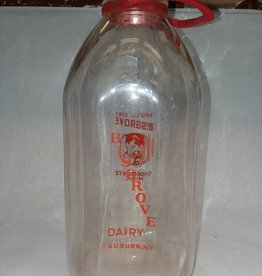 c.1970, Borden Glass 1/2 Gal milk bottle, Elsie the Cow stenciled on both sides, includes cardboard cap from City Creamery, Inc, Cohoes, NY for Chocolate Milk. 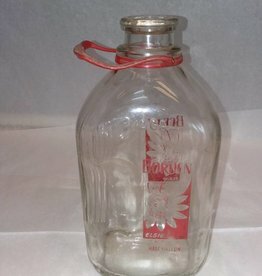 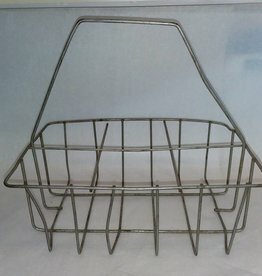 fair graphics (somewhat worn), includes red plastic carrier.